Get real answers to the most frequently asked air duct cleaning questions and use them to your advantage. Looking for useful and reliable information on air duct cleaning and protection? You have come to the right place. Here you will find detailed and clear answers to some of the most frequently asked questions related to these topics. Read the content carefully and make full use of it right away. Why doesn't the HVAC unit work properly? If you find that the HVAC unit doesn't work efficiently, have it cleaned. Place emphasis on condenser unit cleaning. If this doesn't fix the problem, check if there's need for air duct seal repair. If the duct walls are damaged, expect air loss as the system will not work well until the cracks are properly sealed. What are the signs of excessive lint build-up inside the dryer vent? The dryer becomes much hotter while working. Our professionals explain that there may be a burning smell inside the laundry room. The room could be more humid as well. The appliance will take longer to do its job. In all such cases, immediate vent cleaning is required. What are the benefits of cleaning my air ducts? Removing contaminants is the most effective way to eliminate air duct pollutants. It also results in lower cooling and heating bills. How do UV cleansers work? These are devices with one or two long and narrow bulbs. The bulbs emit UV light at a very low frequency. This light practically destroys microorganisms of various types and sizes. The list includes mold and bacteria, to name the main ones. They work best in places that get no natural light, such as the HVAC air ducts. If the volume of your system is smaller than three tons, you can use a UV cleanser with a single bulb. Do HVAC air ducts need coating? Coating is applied on the inner surface of the ducts. Its job is to protect the surfaces from dust particles, pollen, mold and other contaminants. This is how it helps to keep the performance of the HVAC system and the quality of the indoor air high. 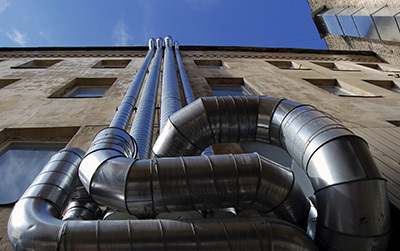 Ducts which are more prone to collecting contaminants due to their make will benefit more from coating.